I really want to try and find fun ways to encourage Pink to write more. She likes writing shopping lists for me and writing small notes for her dad but that is about it. So I thought maybye we could expand on the love of writing daddy notes and make a family post box. The idea being that everyone can write a note or in the case of Blue draw a picture post it in the Box and over the weekend we will open up the box and read the notes. When I suggested the idea to the kids they both loved it. We still had some of the boxes left over from a recent trip to Ikea so we found one that was not too big or too damaged and began sticking it back together making sure we left the bottom open (so we can recover the posted items to read). I cut a hole in the front and the painting started. I had forgotten how much fun the kids have when they get to paint a 3 dimensional item instead of just paper. We had lots of laughter and giggling. Once all the red paint had dried we made a sign and stuck it on the front. And without me even asking the first letter was posted. 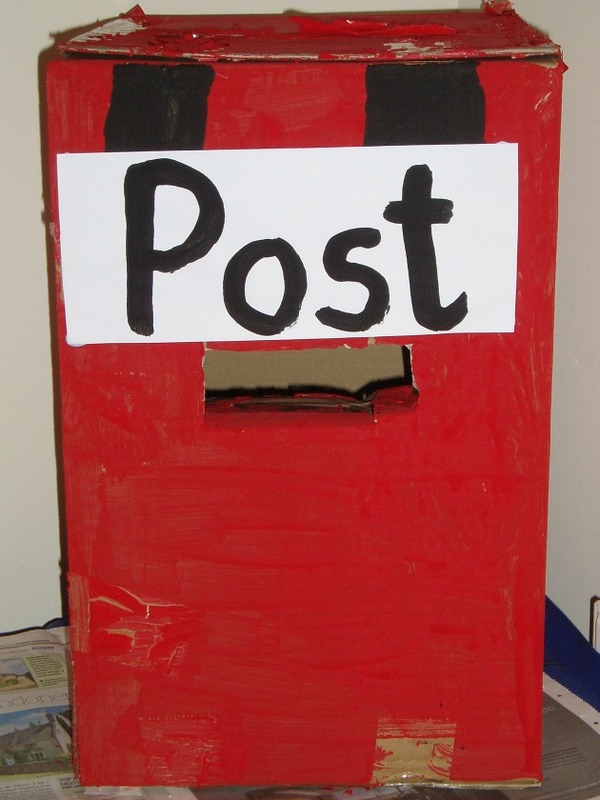 The kids are very proud of the post box as they made it all by themselves (I only helped cut the hole). 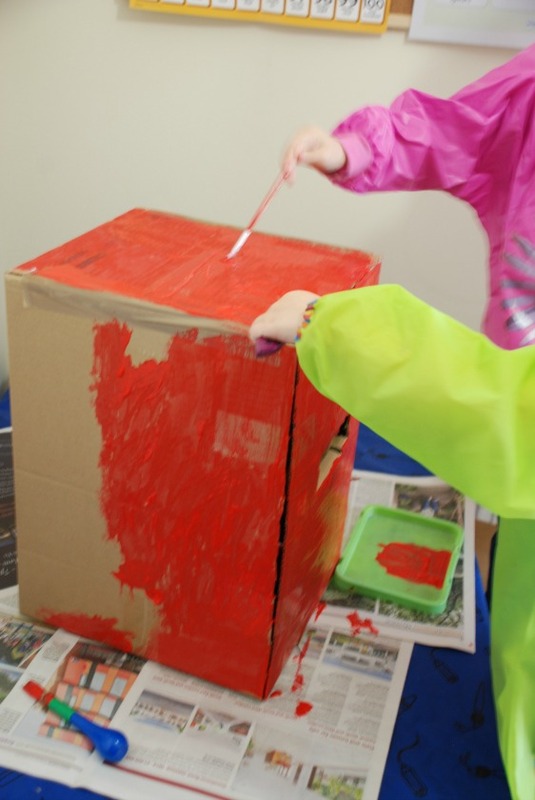 Fingers and toes crossed the post box will end up being as big a success as our art trolley (our art trolley is getting used multiple times every). 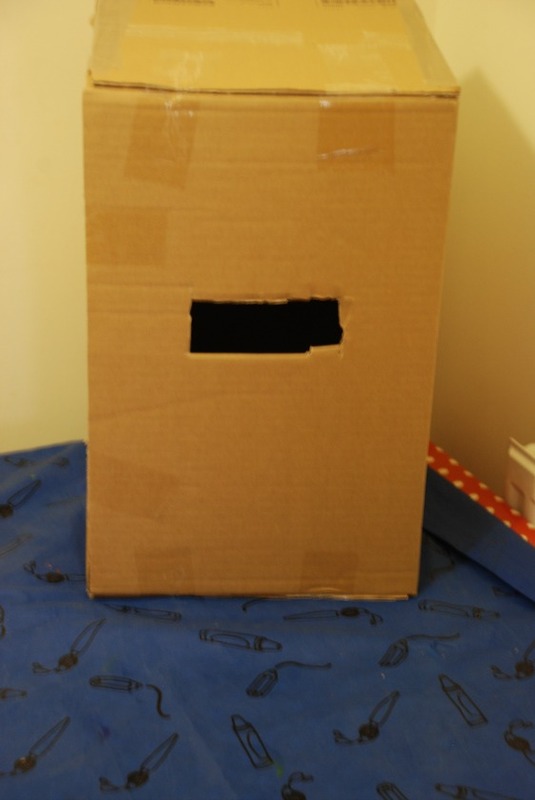 This entry was posted in Art and Craft Ideas, Homeschooling and tagged children's craft, home ed, homeschooling, ks1 english, post box, writing. Bookmark the permalink. Brillant idea! We will be doing this soon with Sammy the Squirrel. They will be writing him letters during center time asking him questions about fall. So excited!